Is the U.S. 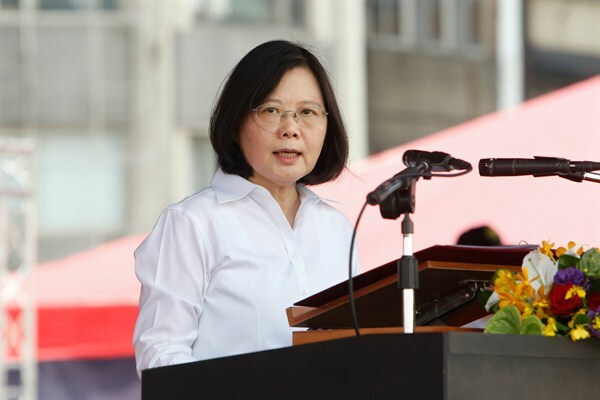 Pushing Back Enough Against China’s Efforts to Isolate Taiwan? Taiwanese President Tsai Ing-wen delivers a speech during an offshore anti-terrorism drill outside Keelung harbor, New Taipei City, June 10, 2017 (AP photo by Chiang Ying-ying). Late last month, the Trump administration approved its first package of arms sales to Taiwan. For Taipei, this welcome news was long overdue, but not nearly enough to stop its slide toward international isolation.